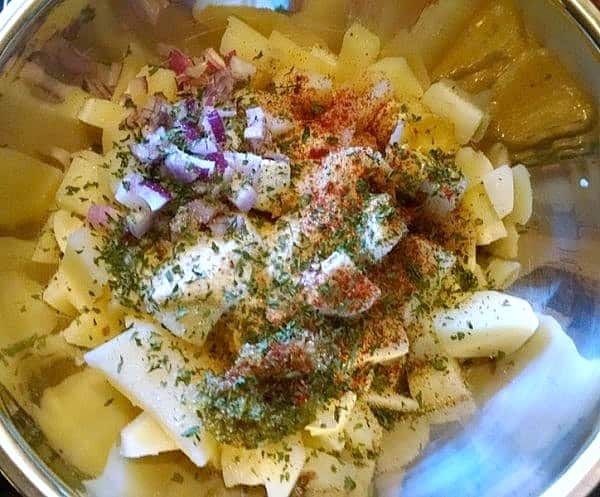 This potato salad recipe is excellent for family gatherings and picnics. No one will ever realize it’s a low-fat, healthier vegan version. I promise, if my family can’t tell, yours won’t either. I am from the Carolina’s where potato salad, cole slaw, and tomato sandwiches are necessary meal staples. 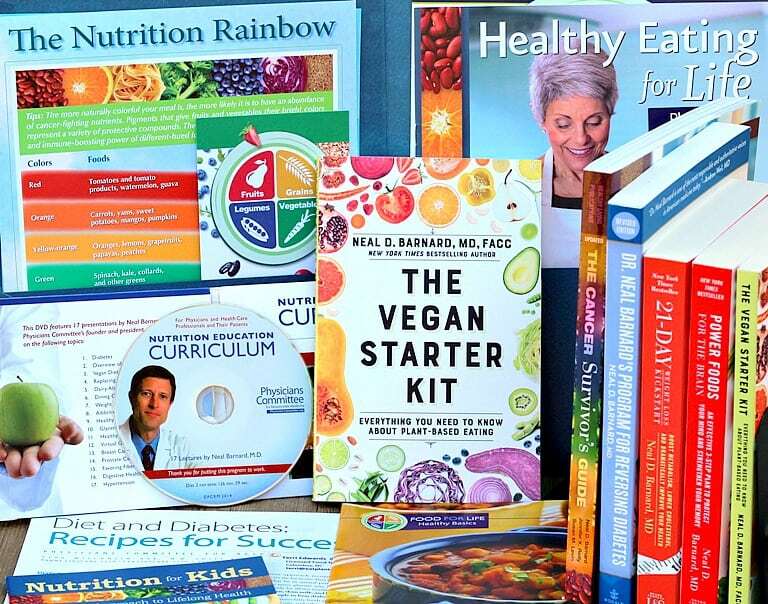 This was a real issue for me after switching to a plant-based lifestyle, because you know what all these foods require right? Mayonnaise! The Southern potato salad recipe I had used for 35 years called for mayo, and that wouldn’t work anymore due to the eggs and oil. This was a very sad realization for me. But did it have to be? 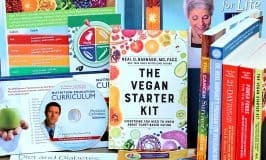 I decided to search for a compliant, heart-healthy mayonnaise option that would allow these foods to continue to be a part of mine and my family’s lives. Unfortunately, I quickly found out that store-bought mayo options–though they were vegan–were certainly not healthy. They contained lots of artery-clogging oil and loads of fat. 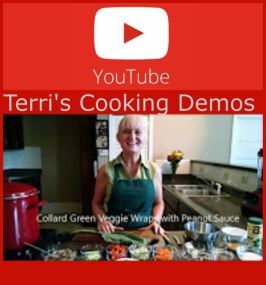 Then, I ran across a recipe from Dr. John McDougall‘s wife, Mary McDougall. She had this Easy Eggless Low-Fat Mayo recipe that taste delicious. 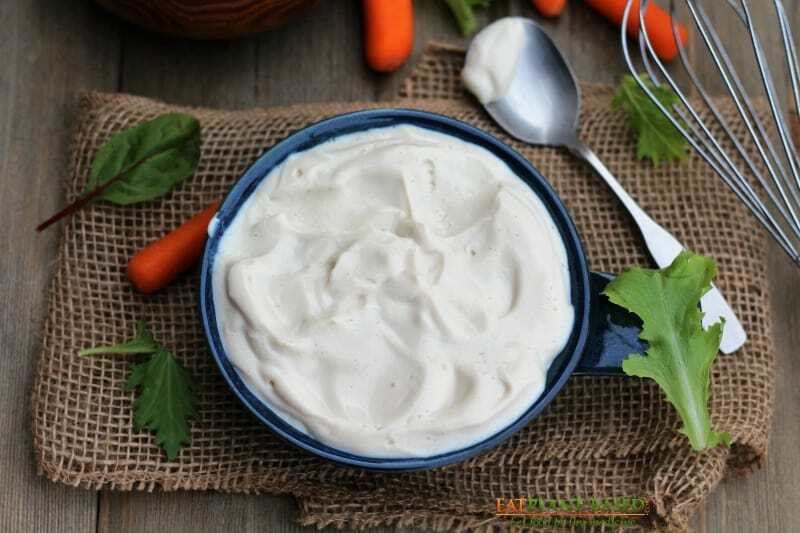 This vegan low-fat mayonnaise is an important ingredient in this recipe. One of my first tests was to try it in my decades-old Southern potato salad recipe. It’s a recipe that has been in my family for years. I remember my grandmother preparing it for Sunday dinners after church when I was a child. Cooked potatoes and other ingredients ready to be mixed. Sometimes I make this with red potatoes and leave the skins on for more nutritional bang! 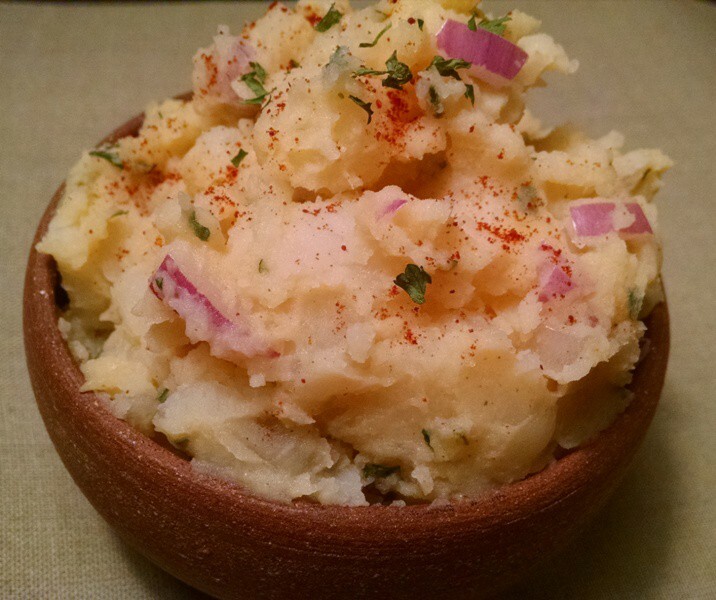 Red potatoes are a great option for this potato salad. 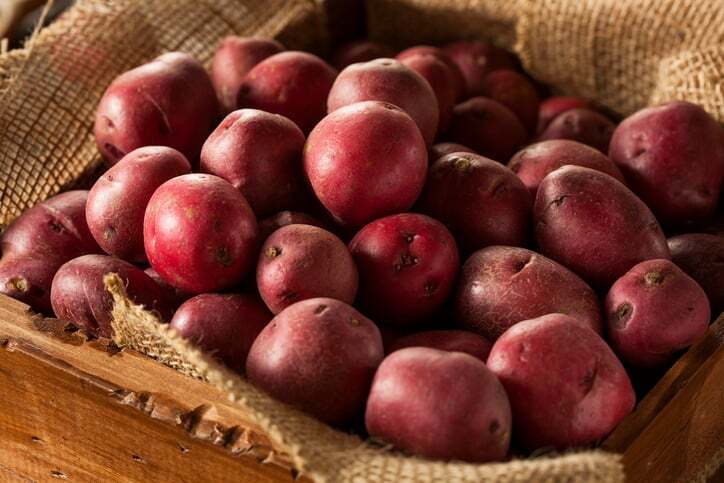 One medium red potato has about one-third of our daily Vitamin C requirement, plus four grams of protein and three grams of fiber. Leave the skin on, because that is where most of the goodness resides. A medium, red-skinned potato that’s baked measures about 2.25 to 3.25 inches in diameter. If you eat the skin and flesh of the potato, you’ll get 153 calories, 3 grams of protein and less than 1 gram of fat, according the U.S. Department of Agriculture. This makes potatoes a good fit for low-fat diets. Not only that, but it was great in cole slaw and on tomato sandwiches (the ultimate test) too! 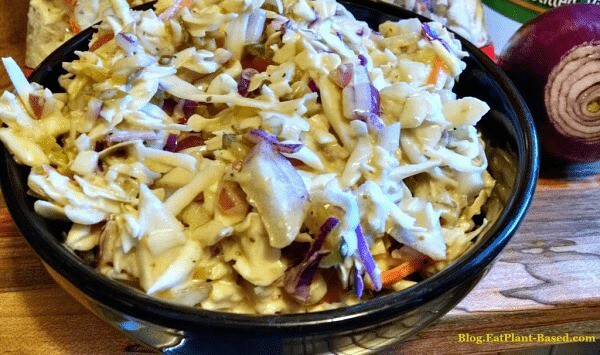 Cole Slaw is another great Southern dish. Click to see recipe. When I take this potato salad to family get-togethers, the bowl is always empty when I bring it home! This Country Potato Salad recipe is excellent for family gatherings and picnics. No one will ever realize it's a low-fat, healthier version. I promise, if my Southern family can't tell, yours won't either. 1 Tbsp (heaping) low-fat mayo, recipe below. 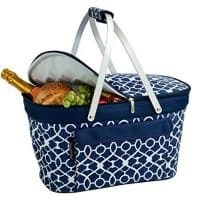 I use heaping Tbsp. 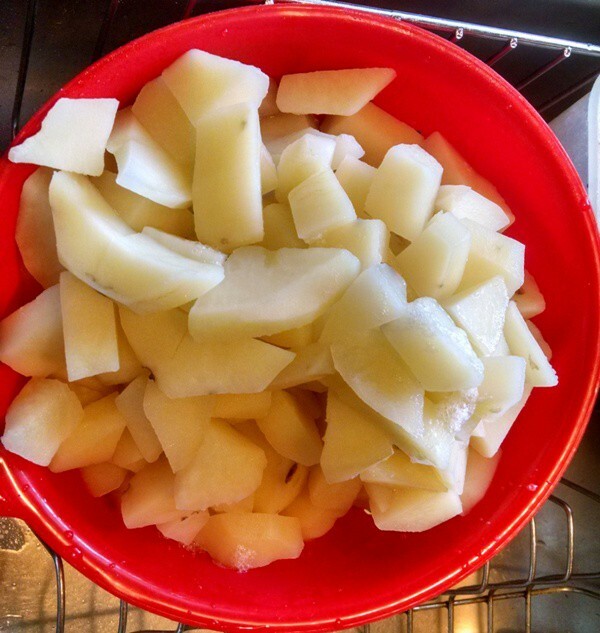 Peel, wash, and dice potatoes. Add to a large pot of boiling water. 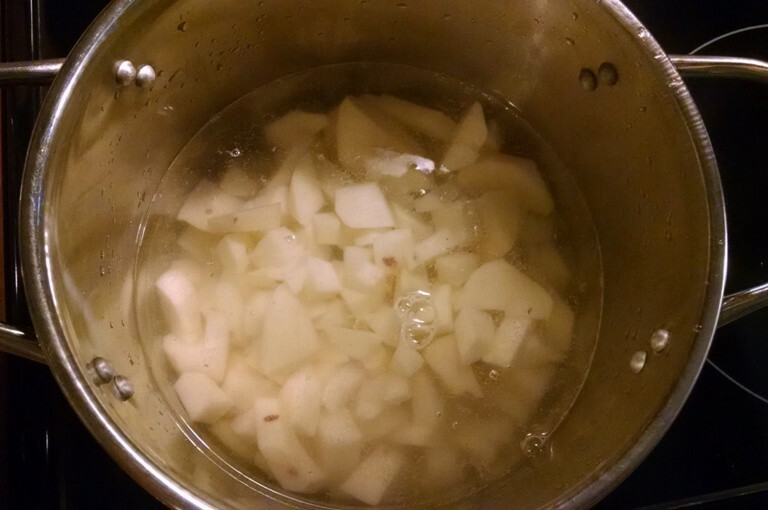 Allow to cook on medium high until potatoes are tender, approximately 20 minutes. 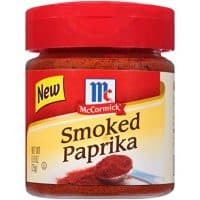 Add all other ingredients--onion, low-fat mayo, mustard (this is the refrigerator kind, not dry ground), garlic powder, parsley flakes, paprika, salt, and pepper. Mix all together thoroughly and serve. A healthy side dish option! OMG Terri! That is a wonderful recipe! 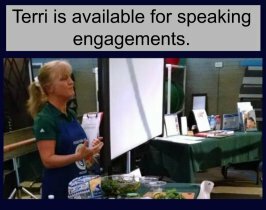 I have been using the eggless mayo on so may vegetables. Thank you! For the silken tofu, is it a pound (meaning one package plus some of another) or one package? Hi Cindi, yes, it just means one package of tofu. They do come in slightly different weights, but I haven’t found that to be a problem. Is it really just 1 tablespoon of mayo for all those potatoes? Thanks, it looks really good, but it doesn’t seem much!